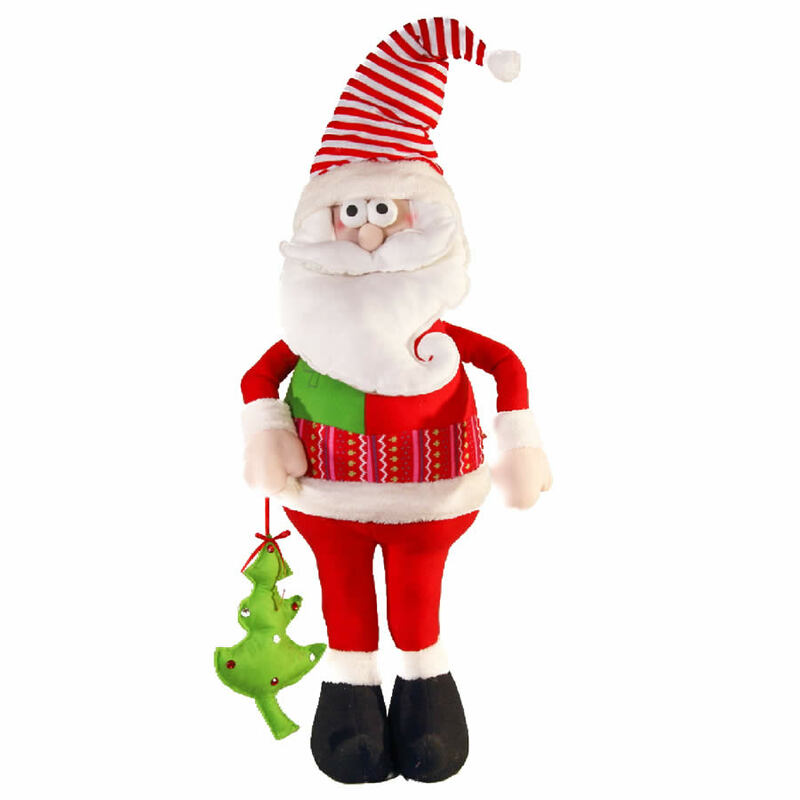 Christmas should be fun, and this giant Cartoon Santa plush toy is the perfect way to get into the holiday spirit. Measuring an impressive 120cm in height, this cuddly old elf is around 35cm in width. This googly-eyed Santa wears his traditional holiday garb, and is carrying a slew of gifts for the good boys and girls on his holiday list. Enjoy the faces of children and loved ones this holiday when they find this clever character under the Christmas tree! 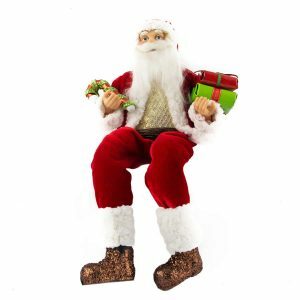 He has a shiny nylon-type fabric finish, which makes him easy to clean and keep for many holidays to come. 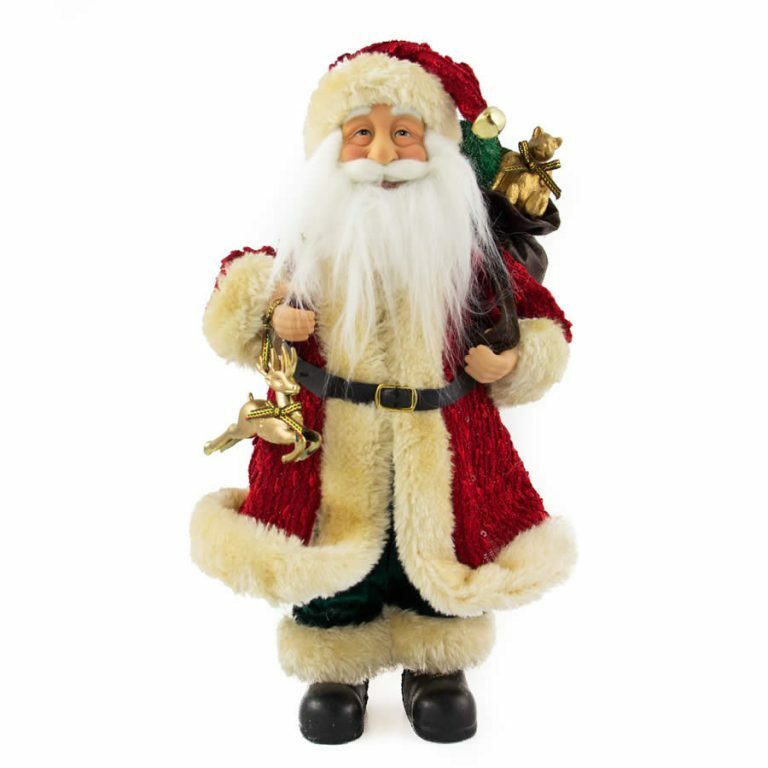 The simple style and detailing of this plush toy give it charm and personality- check out Santa’s fur trimmed boots and long curling beard. This is a toy that will please and delight all ages, and that will bring a playful spirit back into the season!